Today in this post I will tell you how you can convert any web page into PDF file. There is service called Web2PDF which help people in converting any webpage in to PDF whit full text, links, images probably as you seeing that webpage in a browser. 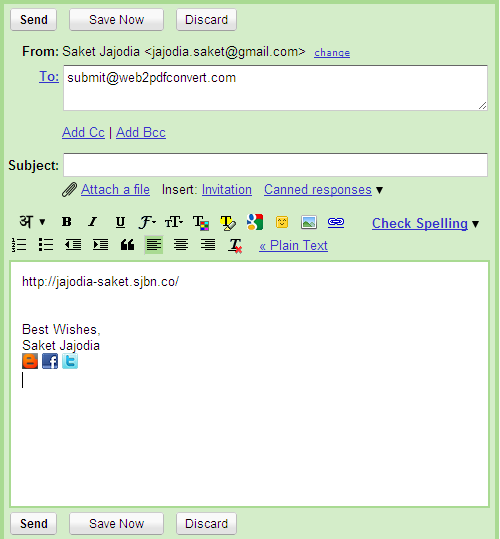 Just send a mail to submit@web2pdfconvert.com with the link of that page you want in body and within few seconds you will get your PDF layout of that page. It may be able to help you in viewing block websites on your computer. But it will be quite irritating also to send the mail with only one link at time and wait till you get it. Note: – they will add there logo in end of every page. And you can’t send more than one link at time otherwise it will only convert first link. Which Is Right, “PDF Format” Or “PD Format”? Great Post! I liked it alot!